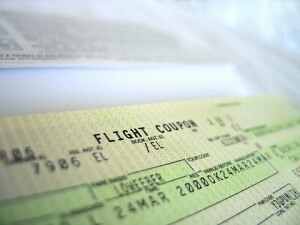 How to get a full refund on your airline ticket? Did to know that you can get a full refund on an airline ticket if you booked it on the airline’s website if you cancel within 24 hours of the purchase? Not many airlines disclose this information because they do not want you to cancel or change your mind after booking your airline ticket – but it’s true. If you booked a ticket on a major US commercial airline such as Delta, JetBlue, United, Virgin America, etc., you can cancel your ticket within 24 hours of booking the ticket without penalty. However, you’ll need to have made the reservation on the airline’s website. If you’ve changed your mind, or found a better deal after booking your flight, just pick up the phone and ring the airline for a full refund of your ticket – regardless of ticket class (full fare and discounted are eligible). Your refund will be processed via credit card. Ticket brokers and travel sites such as Expedia, Travelocity, etc., do not allow you to cancel or change your flight as they are generally matching you up on different one-way fares for the best deal. Furthering my previous post from last year about Delta’s horrible customer service, I really think New York’s JFK Delta customer service (gate agents, check in agents, ticketing agents, etc.) agents give New Yorkers a real bad name. This excludes Delta’s New York-based flight attendants of course as I have not experienced consistent rudeness on flights. 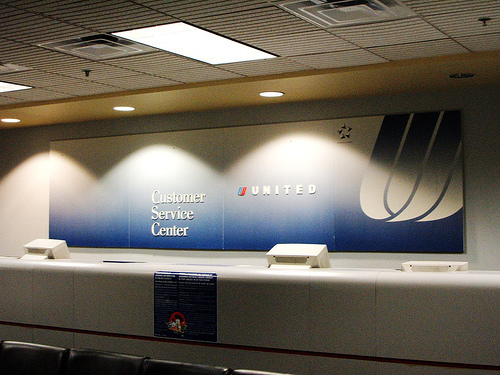 Apparently Delta’s call center isn’t that much better (see Terminal D’s previous post). In my attempt to help Delta address its customer service issues at JFK, I just sent the letter to Delta’s Customer Service Department. Let’s see what I get for a response. I want to first commend Margie Z. at JFK’s Terminal 2 Medallion customer service department. Margie showed compassion and provided excellent customer service by booking me on a later flight because I barely missed the baggage check in time requirement (one hour at JFK vs the norm of 45 minutes at other airports or airlines). Margie is a diamond in the rough in Delta’s customer service department at JFK. I was booked on yesterday’s (January 27, 2010) 7AM flight from JFK to SFO – Delta flight 717 – and arrived at JFK at 6:05AM. Unfortunately for me, I had to check in baggage – a snowboard for my weekend in Tahoe that I have been greatly looking forward to. When I arrived at the baggage drop off area, the baggage agent told me I was FIVE minutes too late to check in the bag. The agent then directed me to a customer service agent post next to her. The baggage drop off agent told me to stand in line and wait for a customer service representative to assist me. That line consisted solely of one person, me. There is never a line at 6:05am at JFK on a Wednesday. While standing in “line” for about two minutes, I observed the FOUR customer service representatives each typing away on their computers almost purposely ignoring me – they were probably checking emails for all I know but they were certainly not doing anything that appeared job related. One male employee finally acknowledged I needed help and began to assist me. I told him that I couldn’t print a bag check ticket because I was five minutes late and asked if there was anything he could do. He explained to me that I had somehow missed my flight, the one that wasn’t scheduled to leave for another 55 minutes! To say I was shocked and dismayed is a severe understatement. There was no line at security. I could have easily made it to the gate, grabbed some breakfast and written a short story to boot. After slowly comprehending the expression on my face, the customer service representative then corrected himself and said that I hadn’t missed the flight, rather I could not go on to the 7AM flight if I had to check in any baggage. He also added that I was 13 minutes late and not just a few minutes late as if to antagonize me further. Perhaps if any one of the four customer representatives had performed the most basic part of their job description I could have explained my situation sooner. To add even further insult, the customer service agent then tried to charge me an additional $50 for booking me on the 9AM flight and checking my bag despite the fact that I explained I am a Gold Medallion member and the change fees should be waived. Upon hearing that I am a Gold Medallion member the customer service representative refused to help me any further and suggested that I see the Medallion agents around the corner. I understand that the US airports and airlines are at a heighten security alert level and all checked bags need to travel with the passenger. However, I firmly believe the Delta agents at JFK could have easily put me on the flight and gotten my bag on the same flight if they had just tried to provide some level of real customer service. The one hour prior to departure bag check rule is there to provide the airlines and baggage handlers with enough time to get the bags onto the planes – it’s certainly not a hard and steadfast rule. I have had bags checked 35 minutes prior to departure at Chicago O’Hare and San Francisco International on United without any issues. Perhaps they are running a better and smoother operation? In addition, the customer service representative did not need to say I was 13 minutes late which was clearly unprofessional and rude. Given the high level of service I received from Delta flight attendants and other agents like Margie Z. at JFK, I expected Delta to better train all of its agents at JFK. I am sure this is not the first time you have heard complaints about JFK’s customer service staff. I have written a similar letter to you last year about a different incident. As a loyal Delta customer, I really wish that you would pass this letter along to the appropriate JFK manager and address your customer service issues. I would hate to give my business to another airline given the long relationship I have with Delta and the otherwise excellent service you provide. I appreciate your attention into this matter and expect a response from you soon. Please do not hesitate to contact me if you have any additional questions regarding this incident as I am eager to help you improve your service and retain your loyal customers.